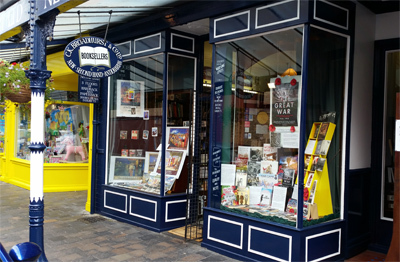 The four floors of Broadhurst’s Bookshop Southport hold a comprehensive range of books suitable for all ages, interests and pockets. The ground floor houses the new bookshop holding an extensive stock of fiction and non-fiction in paper and hard back editions for adults. Extensive new children’s book department. Two rare book rooms specialising in 19th and 20th century literature, modern first editions, private press books and a wide and interesting selection of antiquarian titles. Eight second-hand book rooms containing upwards of 50,000 titles on all subjects. A varied selection of 18th, 19th & 20th century prints and maps. You can also shop online in our secondhand book store and new books store. Our business ethos has always been one of professionalism and civility to our customers and Broadhurst Bookshop Southport is enhanced by the consideration, courtesy and wide knowledge of books possessed by our staff.